This page is dedicated to the humble Corn Snake (Pantherophis guttatus). The Red Cornsnake or Corn Snake, is a North American species of rat snake that subdues its small prey by constriction. The name "corn snake" is a holdover from the days when southern farmers stored harvested ears of corn in a wood frame or log building called a crib. Rats and mice came to the corn crib to feed on the corn, and corn snakes came to feed on the rodents. 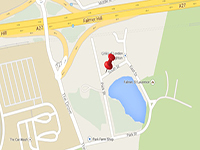 The Oxford English Dictionary cites this usage as far back as 1675. 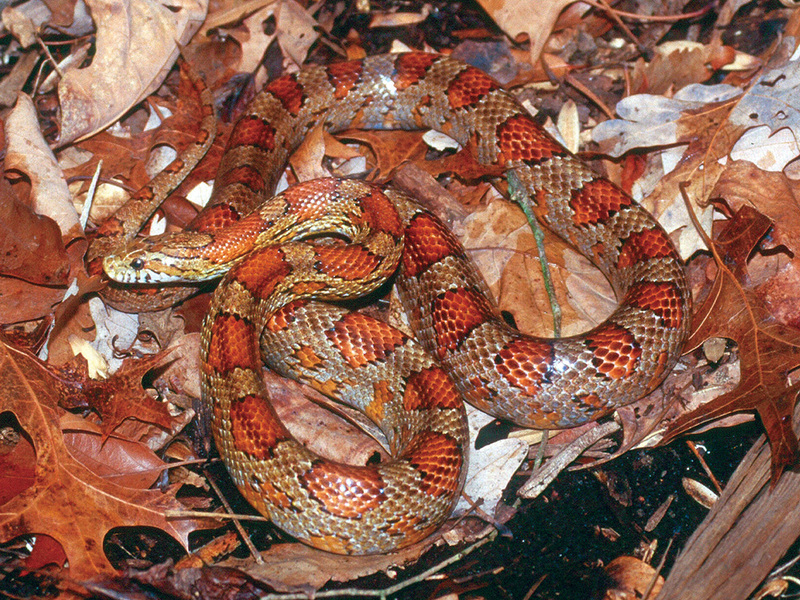 Corn snakes are found throughout the South Eastern and central United States. 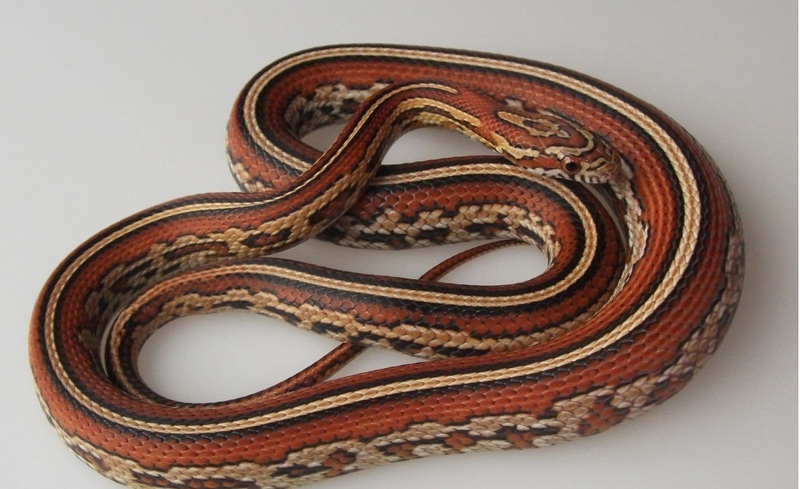 Their docile nature, reluctance to bite and moderate adult size 3.9 - 6.0 feet (1.2 - 1.8 m), attractive pattern and comparatively simple care make them popular pet snakes. In the wild, they usually live for around 6 - 8 years, but in captivity can live to be up to 23 years old. Though superficially resembling the venomous Copperhead and often killed as a result of this mistaken identity, Corn snakes are harmless and beneficial to humans. Corn snakes lack venom and help control populations of wild rodent pests that damage crops and spread disease. 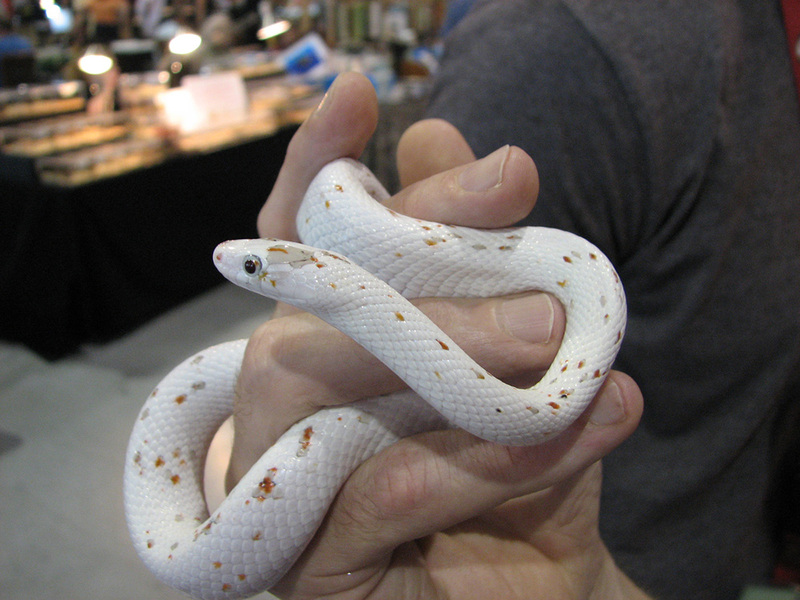 When it comes to the ongoing attraction of keeping Corn Snakes, there are many different colours or Morphs as they are known. Currently there are more than 380 different Morphs ranging from a few Wild Types to such exotic sounding names as Moonstone, Palmetto, Tessera, Amenalistic and many, many more. 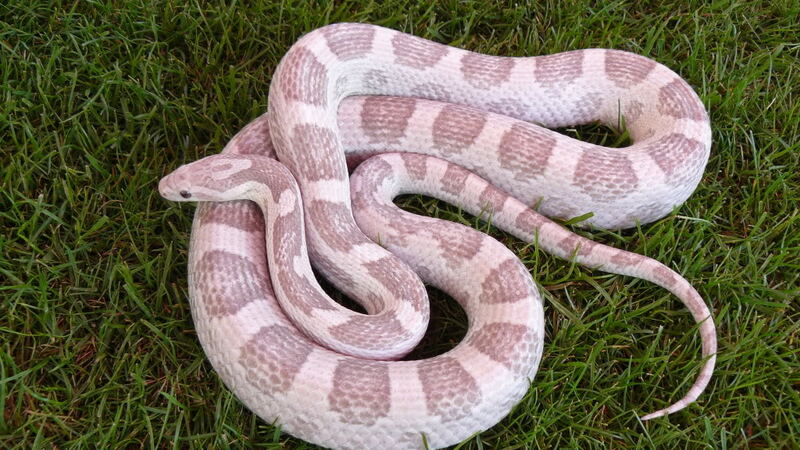 Click HERE for a Corn Snake care sheet.